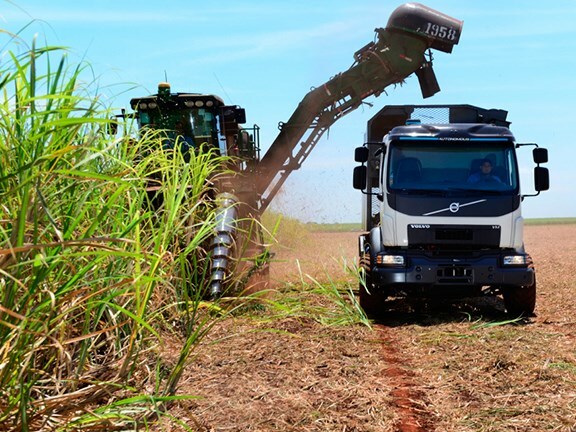 Volvo Trucks has developed a new self-steering truck prototype that looks as if it could boost sugarcane harvests by up to 10 tonnes per hectare as it steers precisely through the fields, avoiding the young plants which make up the following year’s crop. Harvesting trucks damage roughly four percent of young sugarcane crops each year, resulting in tens of thousands of dollars in lost revenue per truck per year. 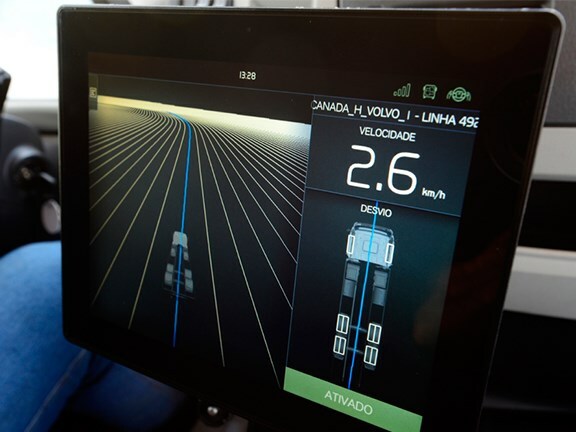 Volvo has been testing the self-steering truck on huge fields owned by Brazilian sugarcane and ethanol producer Usina Santa Terezinha Group. 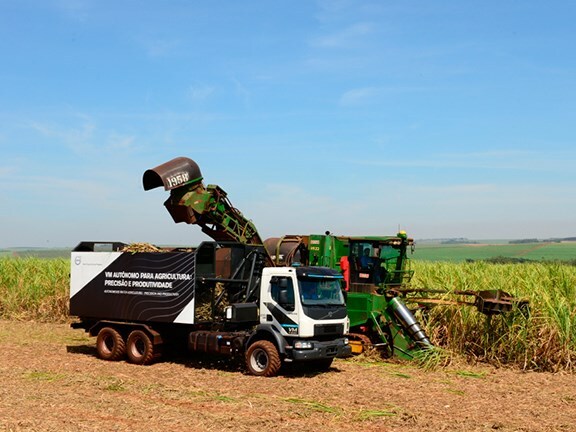 "With the help of Volvo Trucks’ solution we can increase productivity, not just for one single crop but for the entire lifecycle of the sugarcane plant, which lasts five to six years," Santa Terezinha finance and procurement director Paulo Meneguetti says. The majority of damage occurs during the harvesting process, when the harvesters and manually controlled trucks drive alongside each other at a low speed. "The big challenge for the truck driver is to match the speed of the harvester and at the same time concentrate fully on driving in its tracks and not to trample the nearby plants that will become the following year’s crop," Meneguetti says. With the help of GPS receivers and Volvo’s driver assistance system which automates the trucks steering, the truck is able to maintain exactly the right course when it drives to, alongside and away from the harvester, leaving the young plants undamaged. Its two gyroscopes ensure that the truck never veers more than 25mm laterally from the set course, allowing the driver to focus more on the truck’s speed and braking than steering, which Volvo says provides not only greater revenues but a safer and more focused working environment. 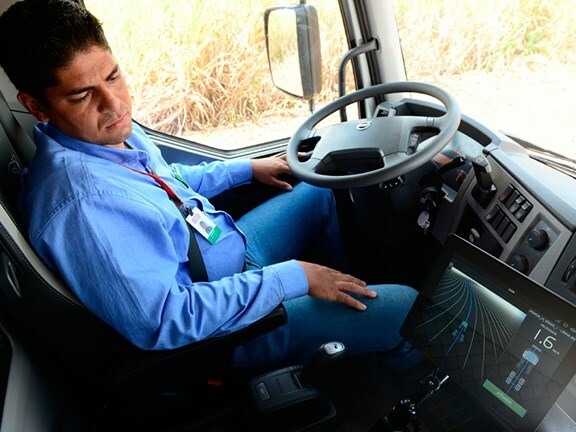 "With this solution we will soon be able to significantly increase the productivity of our customers - at the same time; we will improve their drivers’ working conditions and safety," Volvo Group Latin America president Wilson Lirmann says. 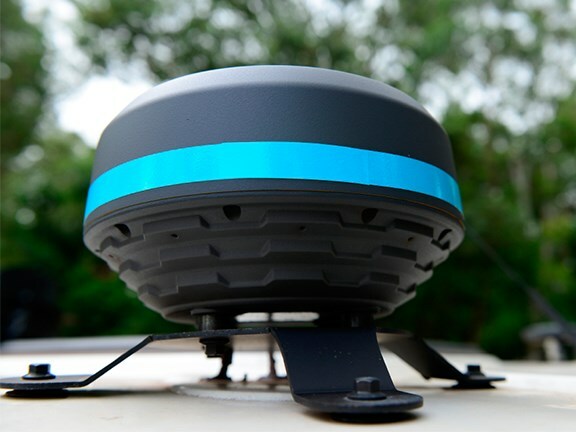 "This in turn will make the job more appealing, and make it easier to recruit and maintain drivers." The Volvo self-steering truck is expected to become commercially available in the foreseeable future once it moves out of its development phase.